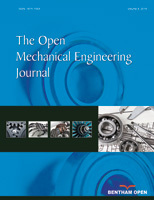 This paper studies the relationship between unsteady flow features and instantaneous torque and power performance of straight bladed vertical axis wind turbine at variable tip speed ratios. The rotor unsteady flow field simulation was carried out by using computational fluid dynamics method. The flow physics and the principle of changing flow field acting on torque performance and power performance have been analyzed where the rotating rotor was the major concern. The results show that the flow feature alters from periodical blade dynamic stall vortexes generation, development and shedding at low tip speed ratio to cyclical formation, evolution and diffusion of blade wake flow with the rising tip speed ratio. Both vortex shedding around the blade and interaction of blade wakes degrade the rotor aerodynamic performance. It is suggested that, to absorb maximum wind energy, delay the blade vortex shedding and reduce the range of blade wake, evolution and diffusion should be included in the rotor aerodynamic design.